HOW DOES ONE COME TO APPRECIATE CULINARY & CULTURAL DIVERSITY? ROBERT SUNG / A WOK AROUND TOURS!!!! VANCOUVER'S BUSTLING CHINATOWN IS A TREASURE WITHIN the CITY, A must see for everyone! The Adventure begins at the Dr. Sun Yat Sen Classical Chinese Garden (Rated by National Geographic as the #1 Urban Garden), then winds through diverse specialty shops and merchants featuring products from crispy skin ducks, barbequed meats, live seafood, delicate pastries, teas, herbal remedies & cookware supplies. Bring your appetite... a delicious dim sum lunch is an important part of the Tour. Visit Vancouver’s beautiful & delicious treasure, THE GRANVILLE ISLAND PUBLIC MARKET! 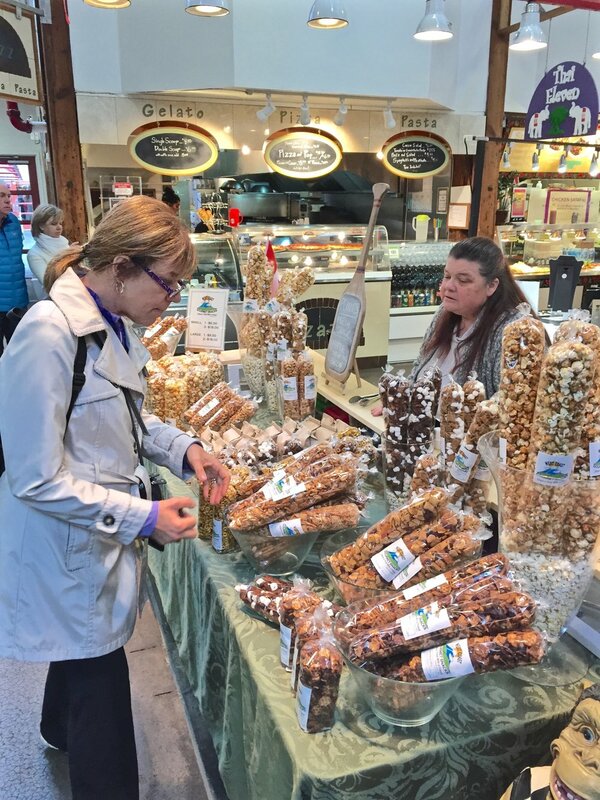 At this colorful and energy-filled location, you’ll wind through The Market’s variety of food merchants tasting delicious Maple-cured salmon, chai tea latte, charcuterie/cured meats, Canadian cheeses, organic chocolates and much more!! Bring your curiosity and appetite to the Market to SIP, SAVOUR, TASTE, ENJOY! The tour will truly be a memorable part of your Vancouver visit!! !